Why do I write an entire blog post about one museum? Because the Salvador Dali museum warrants some undivided attention. 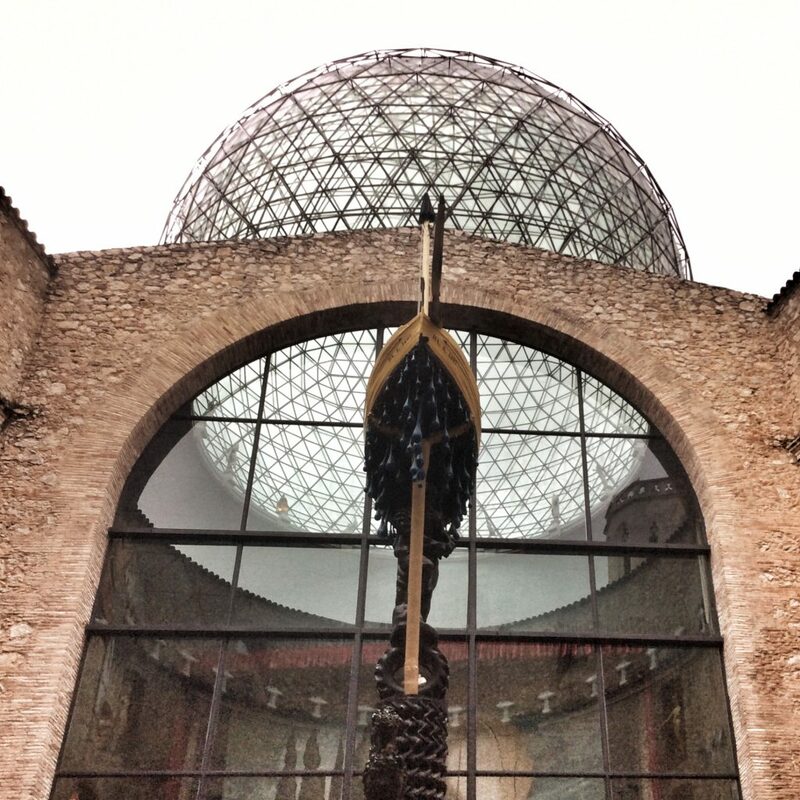 I went to Figueres by train on a rainy day to escape the weather and see this museum I had heard so much about. Turn out, it’s a great day trip from Barcelona. There are signs leading you from the Figueres train and bus station to the museum, very easy to follow and you get a nice walk through the town on your way. For opening hours, check their website as they vary by season. 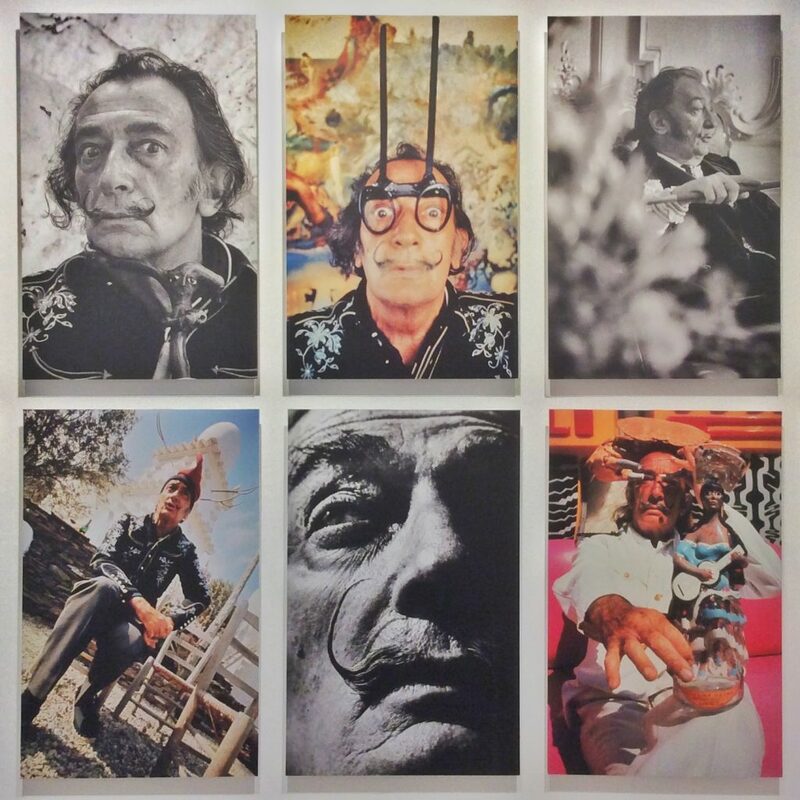 Surly you have heard of the famous surrealist artist Salvador Dali, who lived from 1904 to 1989 in Spain. He owned a house in Port Lligat on the Costa Brava, very close to Cadaques, another picturesque village I told you about already in my post about Costa Brava must see towns. His house is open to visitors as well. “Since I don’t smoke, I decided to grow a mustache – it is better for the health. And oh boy, confusion he spreads. 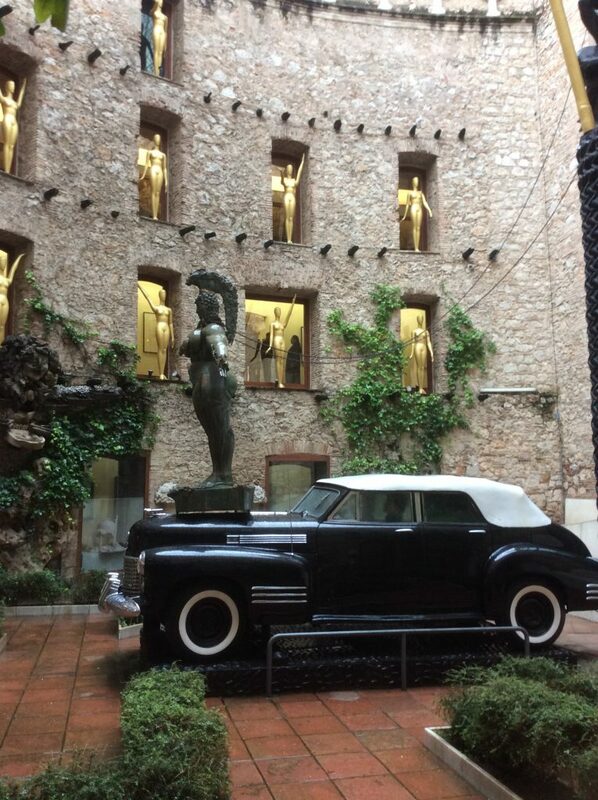 The museum houses Dali’s art in form of drawings, paintings, a fresco and sculptures, but also the work of artists that were inspired by Dali and a series of photographs of Dali taken by Robert Whitaker. The building itself is a piece of art. 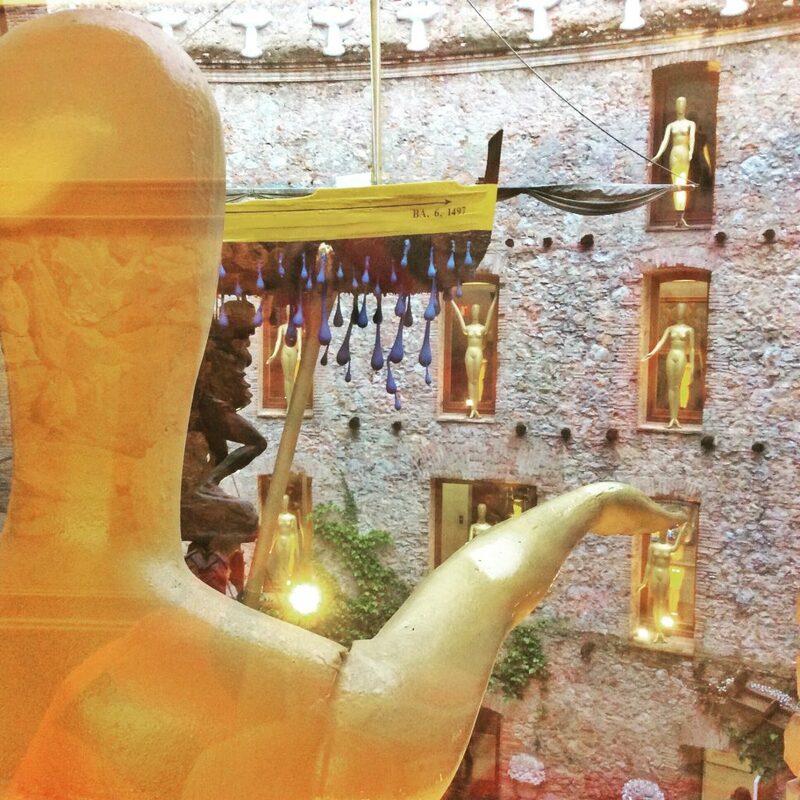 The courtyard is a piece of art, featuring even more pieces of art. Mind you, I am not an art critic. I don’t pretend to understand what the artist meant to tell me with his paintings. But walking through this museum I kind of felt like that was the point. 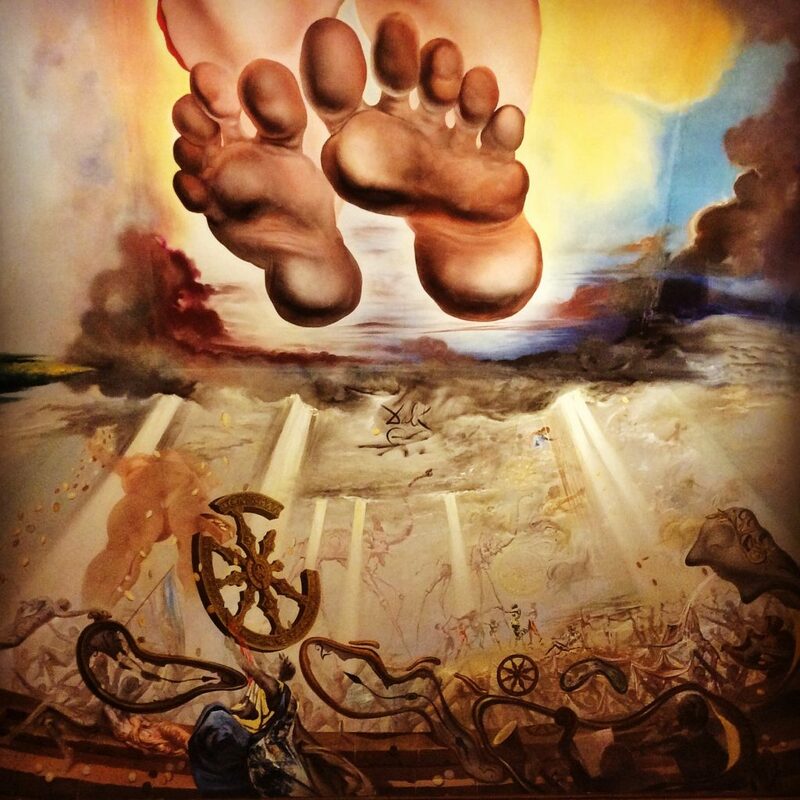 At times, a painting is interpreted in writing (conveniently in English as well), but in the end I cannot be sure that those were really the thoughts of Dali. Maybe he literally just thought “I want to paint a giant phone on a giant plate on a beach today” Given his regard for the sacred aspect of moustaches I would not be surprised. And because I don’t intend to interpret it for you, I will just share a few pictures and hope that one day you’ll go yourself and form your opinion.